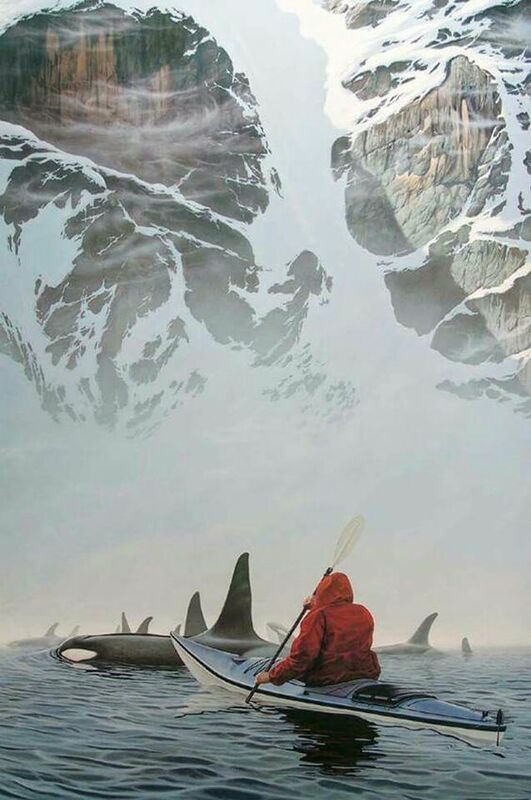 As Alaska is big, so too is its beauty. A vast, uninhabited wilderness overwhelms the comparatively small cities in the state. 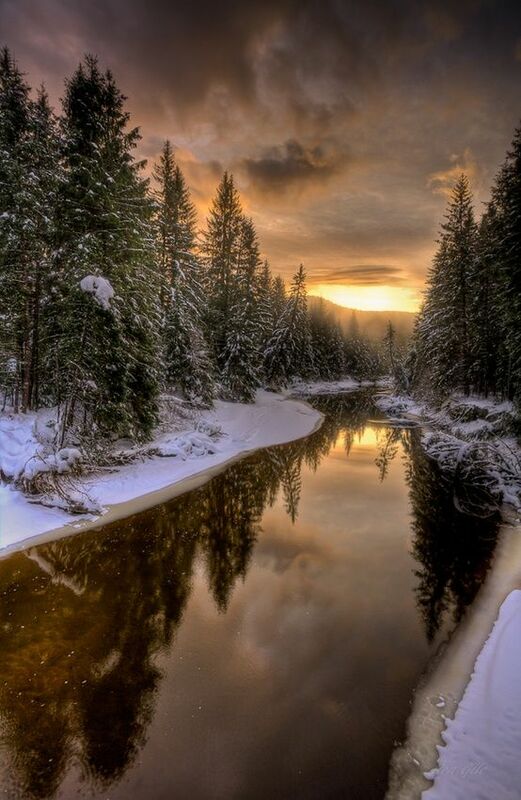 This natural beauty can be enjoyed while hiking, paddling, and fishing in the great outdoors, especially as the state and national parks here are some of the largest in the United States. 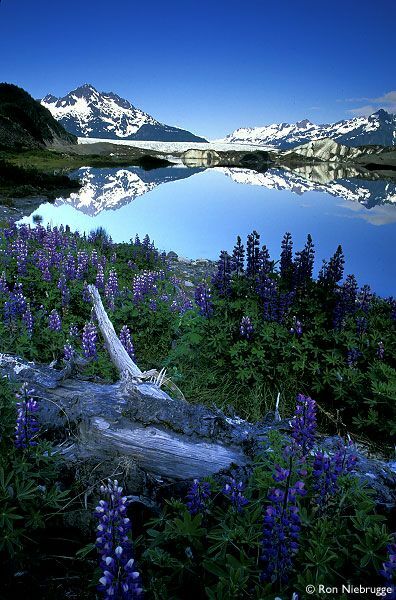 In the northern part of the Alaska Range, Denali National Park is the one of the largest in the United States and encompasses North America's highest mountain. The name is a strong point of local contention. 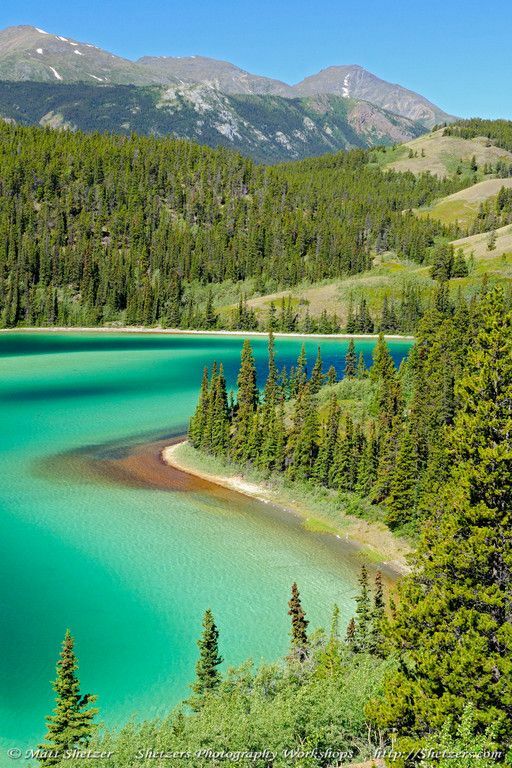 But names aside, the six million acres of wide river valleys, tundra, high alpine ranges, and glacier-draped mountains are purely spectacular. A single road leads into the park, and only park-approved buses are permitted to travel beyond Savage River. Views of Denali can be enjoyed from the park road, weather permitting. A fjord edged with glaciers, Tracy Arm is located south of Juneau and is a popular destination for cruise ships and boat tours. 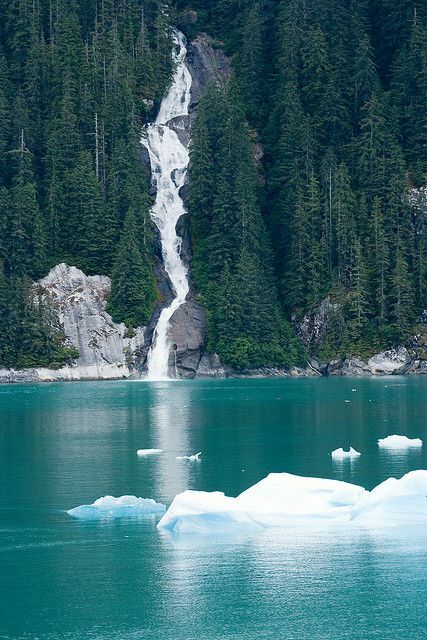 Waterfalls tumble down the sharp rock walls and glaciers calve, creating small icebergs. 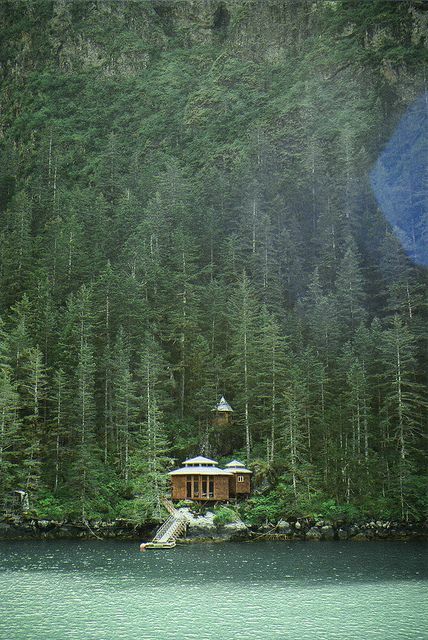 The scenic setting lies within the bounds of the Tongass National Forest. 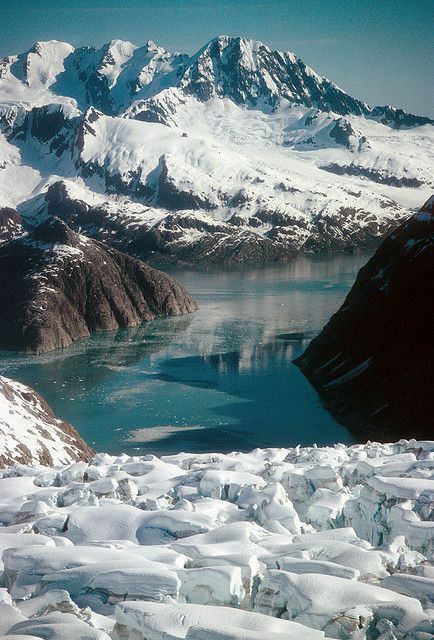 At the head of the fjord sit the twin Sawyer Glaciers. Wildlife sightings are common on tours, whether it's a brown bear or moose on land, or the whales and seals that inhabit these waters. Klondike Gold Rush National Historical Park maintains lovely restored buildings in the Skagway historic district to commemorate the 1897-98 Gold Rush. Visitors can attempt to hike the 33-mile-long Chilkoot Trail, which begins at Taiya River bridge, or simply explore the on-site museum and visitor center. 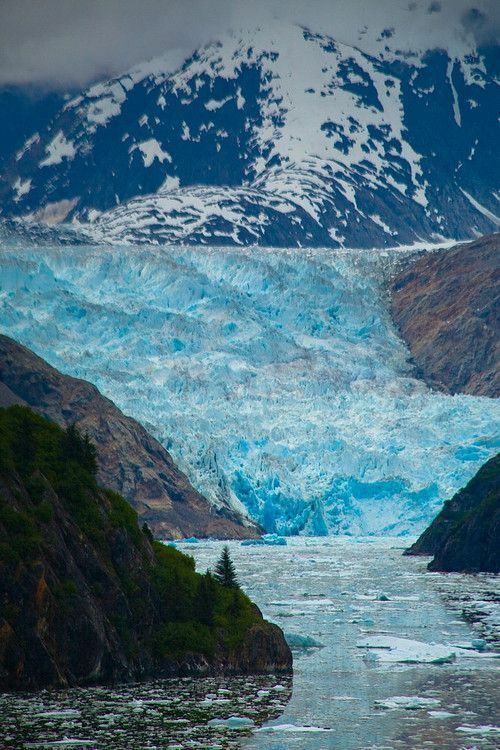 Located just 12 miles northwest of the state capital and accessible by road, the Mendenhall Glacier snakes down from the Juneau Icefield to touch the shores of a small lake. A visitor center looks out over both the glacier and the iceberg-dotted waters, while trails venture along the shore to roaring Nugget Falls as well as the impressive ice mass. 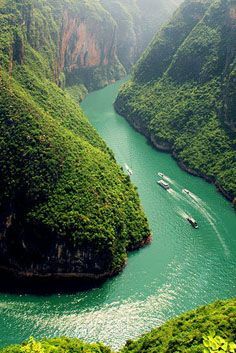 Rafting and kayaking trips allow visitors to float among the bergs. In 1938 the US Forest Services began a project to salvage, reconstruct, and create totem poles - a tradition which was dying out. 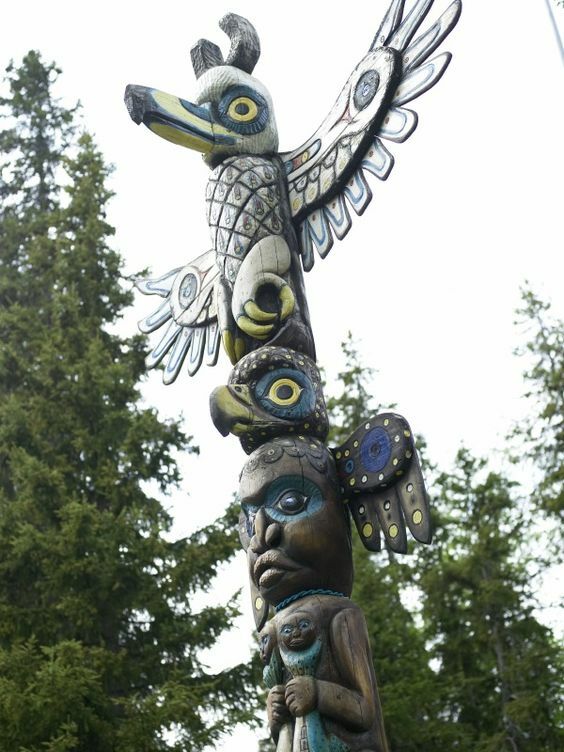 Funds were used to hire carvers from among the older generations, and abandoned totem poles were restored or recreated by these craftsmen. And, in the process of this work, they were able to pass on their skills to younger community members. The journey to Seward is equally as alluring as the small town itself. To reach the community south of Anchorage, visitors travel by way of the Seward Highway, Here, along the shoreline of Turnagain Arm, stretches of the rugged Chugach State Park meet the saltwater. Or tourists can take the scenic Alaska Railroad. 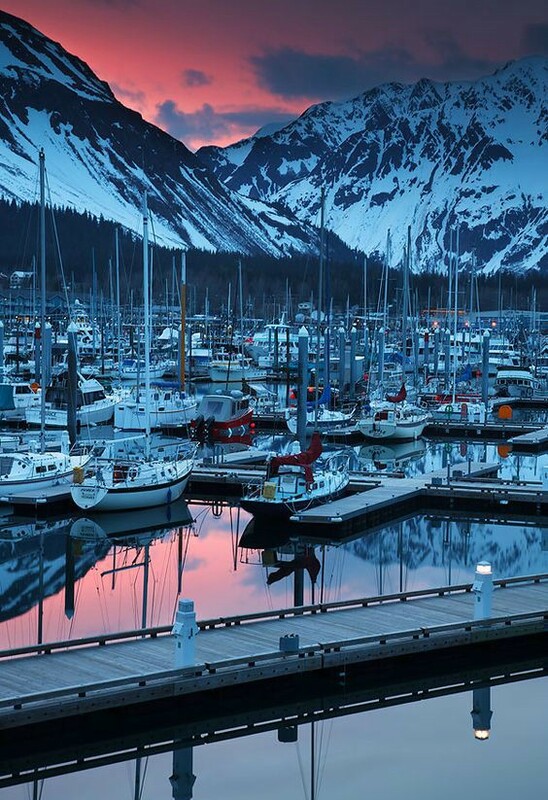 Beside the appeal of the town's excellent Alaska SeaLife Center, Seward is a base for exploring Kenai Peninsula attractions, such as Exit Glacier, and area fjords by boat. One of the up-sides to Alaska's long dark winters are the glowing Northern Lights that appear on many nights from September to mid-April. Some of the best aurora borealis viewing happens in the Fairbanks area. 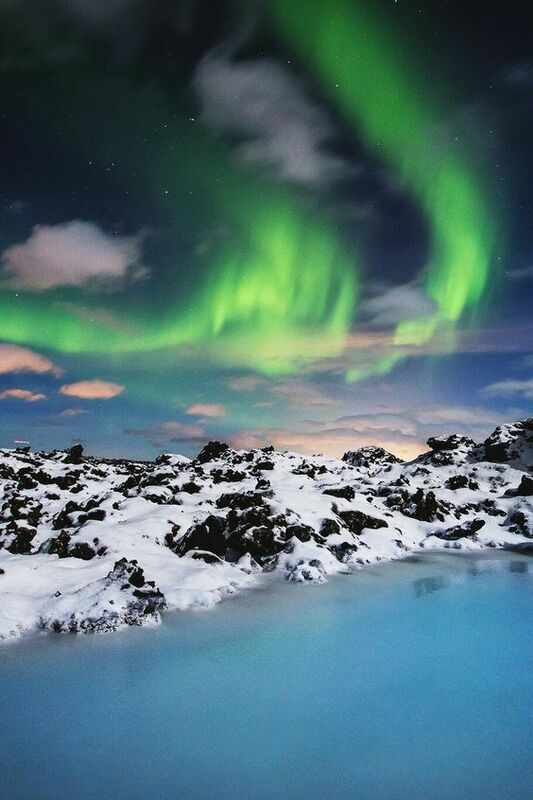 The peak time to watch for solar particles in the earth's magnetic field is after midnight. Located in Fairbanks, the University of Alaska Museum of the North offers well over one million historical artifacts and natural history pieces. 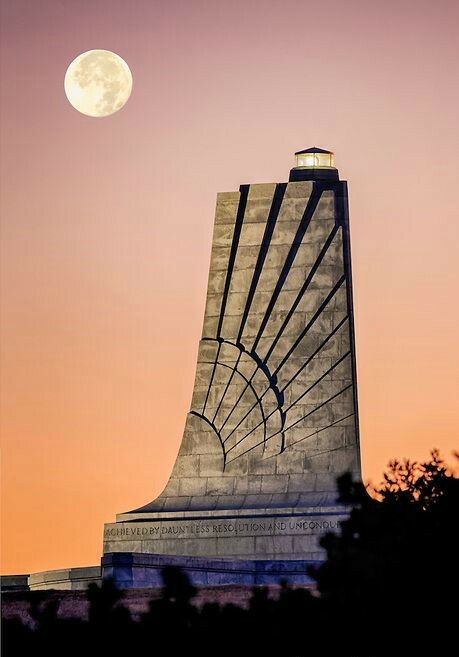 The permanent collection includes ethnological items made and used by indigenous groups, a fine arts collection that focuses mainly on Alaskan art, archeological finds from prehistoric cultures, a bird collection, and paleontology specimens. 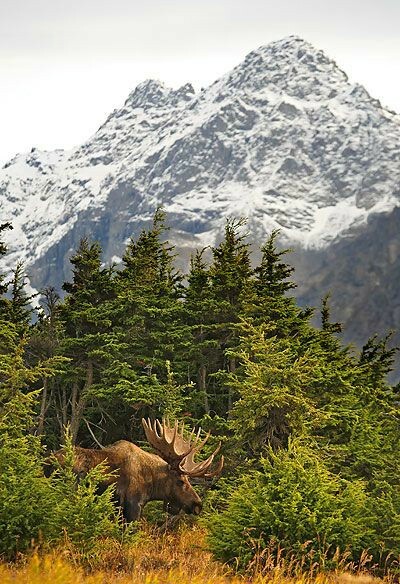 Protecting much of the fjord-riddled coastline of the Kenai Peninsula (south of Anchorage), this national park offers some of the best sightseeing in Alaska. Matanuska Glacier starts from the Chugach mountain range in the South Central Alaska and is part of the Matanuska State Park. It is the biggest Alaskan glacier accessible by car - you can see it from Glenn Highway after a short two-hour drive from Anchorage. It is 26 miles long and 4 miles wide at the point where it ends. 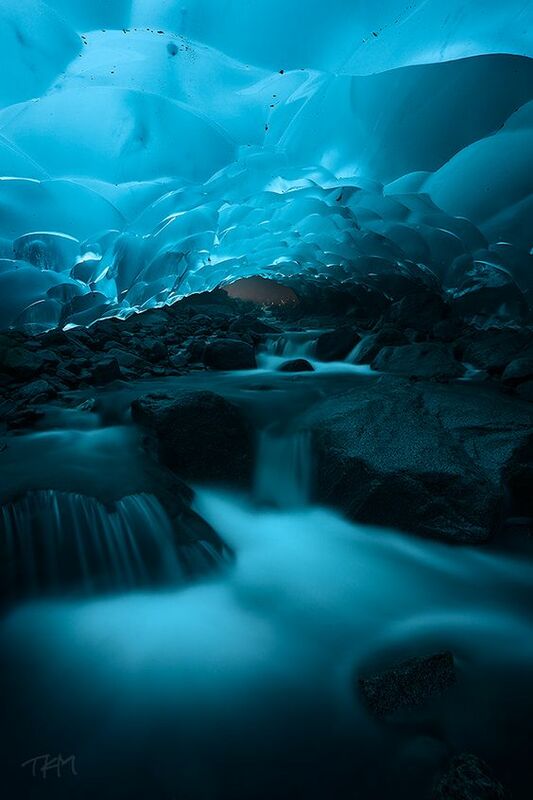 It is called a valley glacier; it flows like a river pushed by its own weight through the valley. 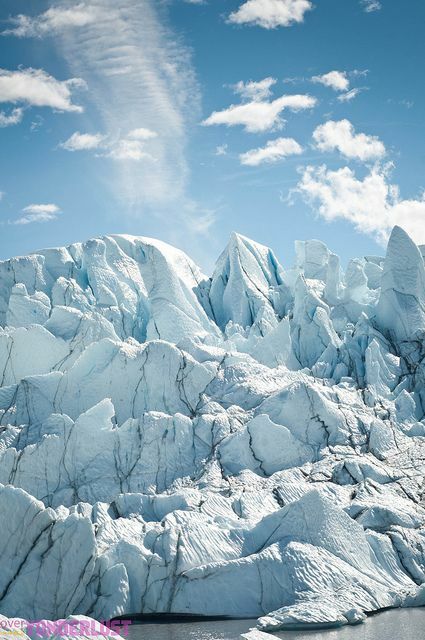 The best way to see the glacier up close is from private Matanuska Glacier Park. You can walk across the glacier on your own. 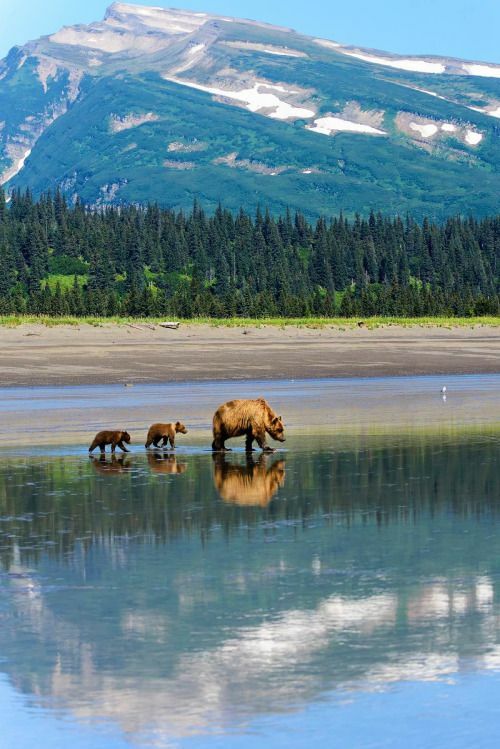 Visitors to Anchorage should be sure to plan a visit to this state park, which is the third largest in the United States. Rent a yurt by the Eagle River and you can watch the spawning salmon in the summer, or scout for great horned owls in the winter.